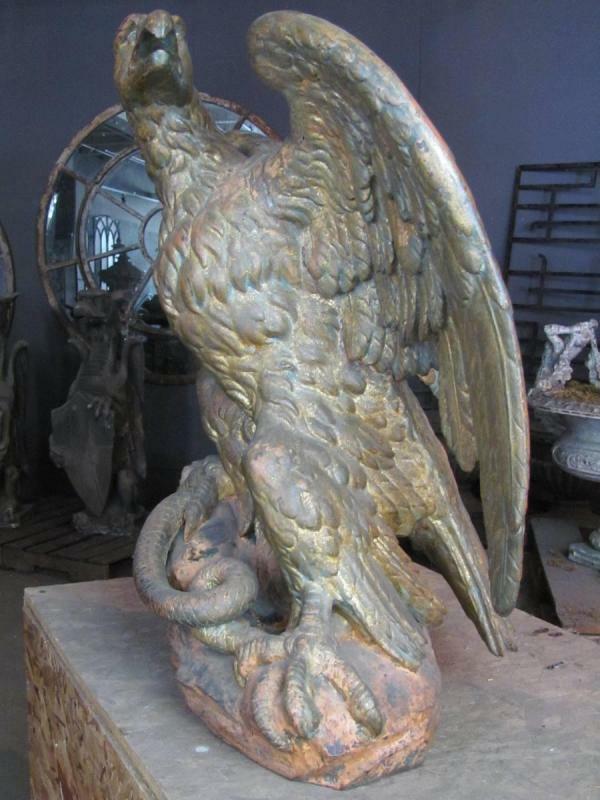 A very fine late 19th century French cast iron eagle standing on a rocky outcrop, head turned, clutching a snake in his talons. 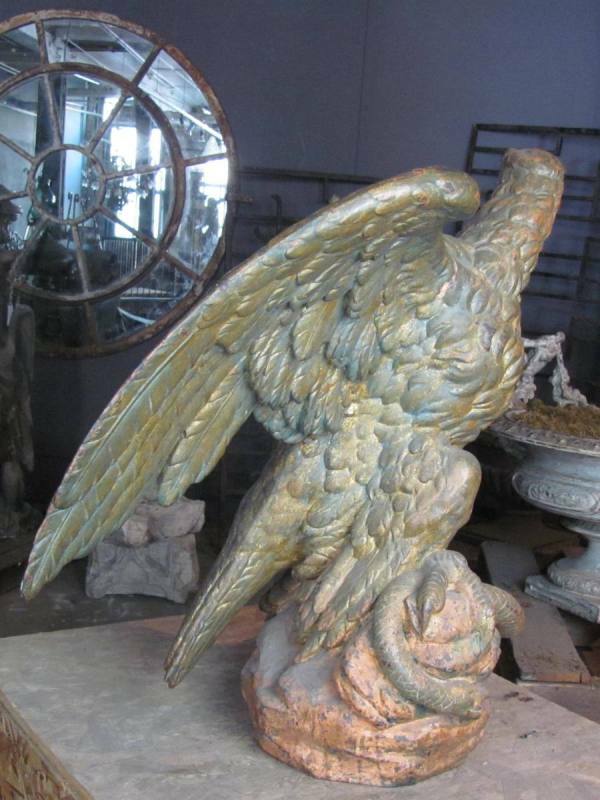 Wonderful surface, with traces of original gold. Extremely well modeled and proportioned. 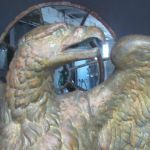 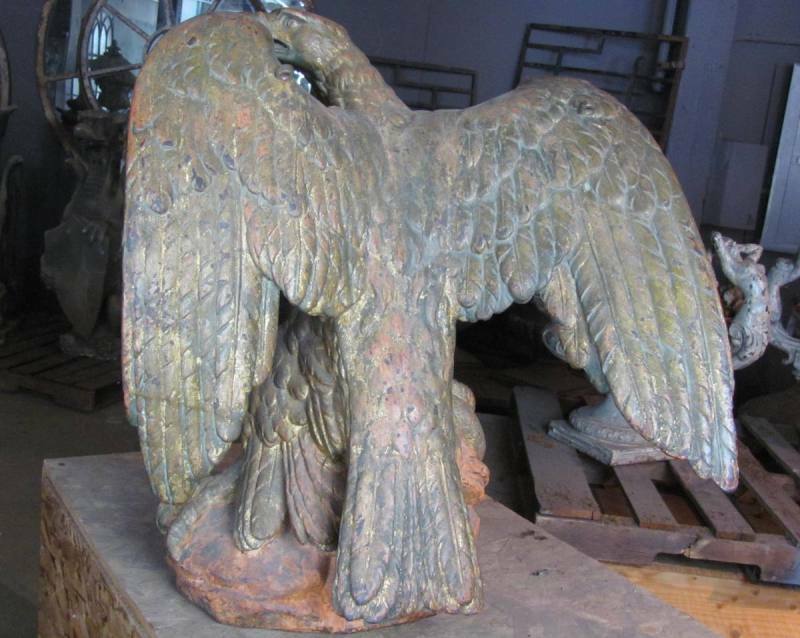 Circa: 1875 Two metal loops on the back, one on each wing, indicate the eagle was probably used as an embellishment on a building or monument. 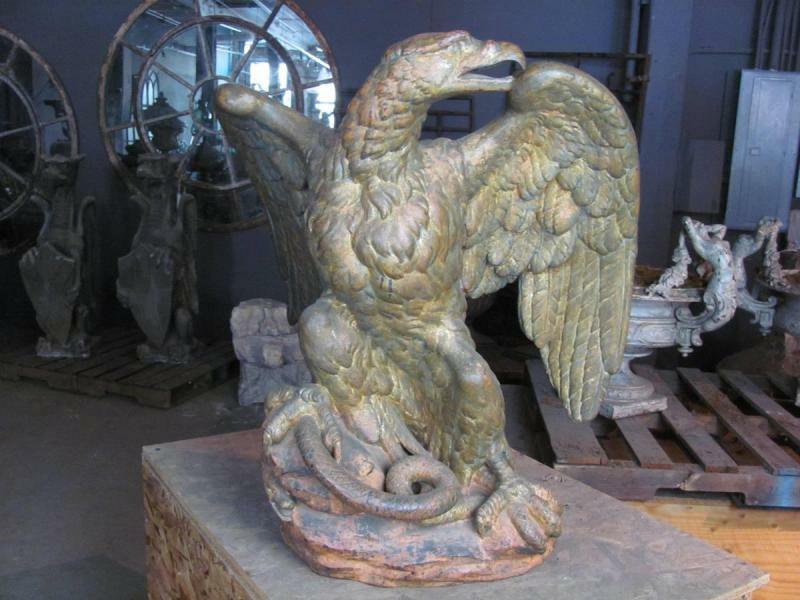 Measurements: Height: 25" Wingspan: 30"